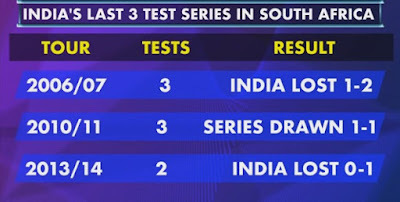 What to expect: Since encountering what Faf du Plessis termed "extreme conditions" in India in 2015, South Africa have been eager to exact some sort of revenge. 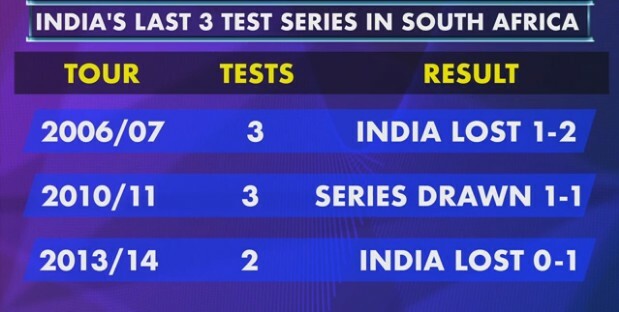 To that end they will prepare lively pitches for this series, but Newlands is likely to be the most balanced of the three venues so far as bat and ball are concerned. There will be some movement at times, but generally a true surface expected with good bounce and carry. Or, as du Plessis put it, "nothing extreme". Day three could experience some light showers but otherwise the forecast is good.